In Spital am Pyhrn you can enjoy the advantages of the ski area of Wurzeralm as well as those of the Hutterer Höss: Varied slopes on every level of difficulty, modern ski lifts, ski rental at INTERSPORT Rent and a spacious network of trails for cross-country skiers makes the ski area around Spital am Pyhrn a prime location for winter sports in Upper Austria. You can reach the nearby ski resort Wurzeralm from your accommodation easily by using the fastest funicular in Europe: You can put on your skis or snowboard after just seven minutes of driving at 1.400 meters - and race down to the valley! The latest models and professional ski service can be received in the ski rental of INTERSPORT Rent - because your skiing day will only turn into a carefree experience with the proper ski equipment! 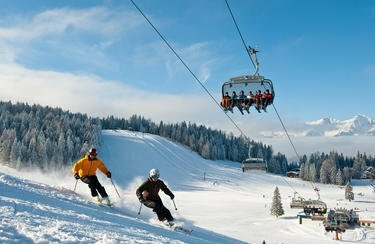 Cross-country skiing fans will get their money´s worth in Spital am Pyhrn and in the ski resort Wurzeralm: There are approximately 120 kilometers of perfectly groomed trails to be explored in this spacious area. Whether classic or skating track - hire the best cross-country ski equipment in the ski rental of INTERSPORT Rent and enjoy the beautiful nature in the winter sports region Pyhrn-Priel. Do you have questions about your ski rental for your skiing holiday in Spital am Pyhrn? 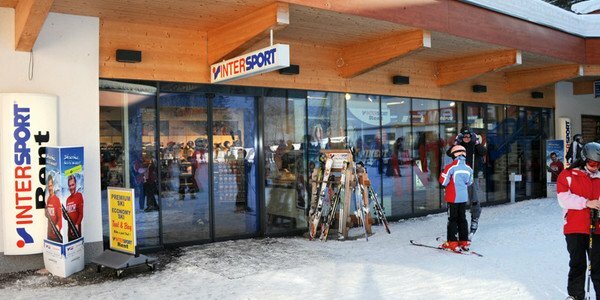 The professionally trained staff at INTERSPORT Rent in the ski resort Hinterstoder / Wurzeralm is happy to advise you!